It’s been a while since I’ve been able to host a guest review by my good friend Karenlee Thompson, (she’s hard at work on her next novel!) so I am delighted to bring you her review of the latest publishing sensation, Lost and Found by Brooke Davis. I love original Australian literary voices and I’ve found a new one I fancy … Brooke Davis., a prize-winning writer of fiction with a PhD from Curtin University in WA. 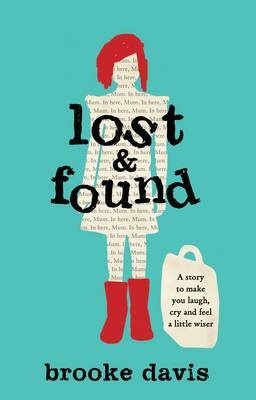 Lost and Found is, in her words, her ‘first proper novel’ and what a corker it is. My little margin notes include lots of ohs and wows, *s and !s, omgs and clevers. Incidentally, Yvette Walker’s Letters to the End of Love, also emerged from the same program at Curtin University as Lost and Found. [See Karenlee’s review here]. Lost and Found is about life and love and loss. It’s about character, in all meanings of the word (Collins English Dictionary: a combination of qualities; one such quality; reputation; representation of a person; an outstanding person – and even a symbol used in writing. [There’s a character called Karl the Touch Typist, see below]. After I read the story, I realised what a great job Christabella Designs have done with the cover design. Perfection. Millie is trying to find a place for herself in the world, endeavouring to understand why adults act the way they do. She ruminates on existing words and why you can’t use them all. Without a guiding book, “you were just supposed to know” (pp. 104-105) which words were not okay. Karl grieves for his wife. “It felt strange to breathe when she couldn’t.” (p. 20) He touch-types on all manner of apparatus, from thin air to small children’s heads. Wondering about himself, about his life, about his place in the world, Karl thinks that “In the world of punctuation, he might have been a dash – floating, in between, not necessarily required.” (p. 87) What a delightfully clever gem of a sentence that is. Agatha has been alone for years, trapped in her house with television static, yelling to everyone and no-one as she moves between her Chairs: of Disbelief, of Degustation, of Discernment, of Resentment, of Disagreement, of Disengagement. Agatha’s dissertation on funerals and their aftermath of people “hulking casseroles full of dead animals, and pity” and materialising in her house, “cocking their head to one side and clawing at her” (pp. 53-54) is both hilarious and sad. These three beautifully sketched characters – Millie, Karl and Agatha – collide; their personalities and peccadillos bouncing around off one another, forming a vortex of comedic possibilities. Manny: Yes, he might be plastic but he has a definite presence (with or without all his limbs). Lost and Found is a showcase for Davis’s superb sense of humour, her perfect grasp of craft, and an originality that makes me positively green. The structure is interesting. In part one, the ‘Millie’ chapters are divided into the days of waiting, interspersed with facts that she knows. Agatha’s time is broken into days and, within those days, into sections of time. And Karl is sectioned by things that he knows: things he knows about love, for example, and things he knows about sadness. It’s a page-turner too. Just like Millie, we feel compelled to find her mother. But it also becomes increasingly important to find out the meaning of the jumble of letters Karl’s wife left for him. There was a point (about half way through part three) where I wondered if the story had become a bit too farcical. Karl and Agatha start yelling on the train, Derek the conductor is stamping his foot and throwing paper, and Manny is flung over Karl’s shoulder. It was just a little too slapstick for a few pages and it’s just not a style I’m comfortable with. The writing here seemed very visual, clashing a little with the rest of the novel. I also thought it took a detour into some sort of ‘Kids Own Adventure Tale’ with Millie and her friend Jeremy each taking on Superhero status. Minor quibble and I’d be interested to know if anyone else agrees. I love how Agatha’s rigid time frames (e.g. “6.25: Pours the remainder of her Bonox down the sink. 6.26: Removes all her clothes” (p. 68)), go through various degrees of rigidity before segueing to “Morning(ish) Agatha Standard Time” (p. 252). And you’ve just got to check out Millie’s idea of constructing a poem. Brilliant. I can’t stop doing it myself now … in the supermarket, on the train. Delicious fun. Rosemarie Milsom (for Newcastle Herald) wasn’t always fond of Davis’s supporting cast of “quirky, laconic characters” and found Manny to be a “jarring” inclusion (conversely, I loved them, especially Manny). The novel generated a big buzz at the London Book Fair and has been sold around the world, being translated into 20 languages. John Boland reviewed it at Musings of a Literary Dilettante too. Update 18/8/14 I haven’t read this book, but it was because I thought it might be like this, that I haven’t. Review copy courtesy of Hachette Australia. 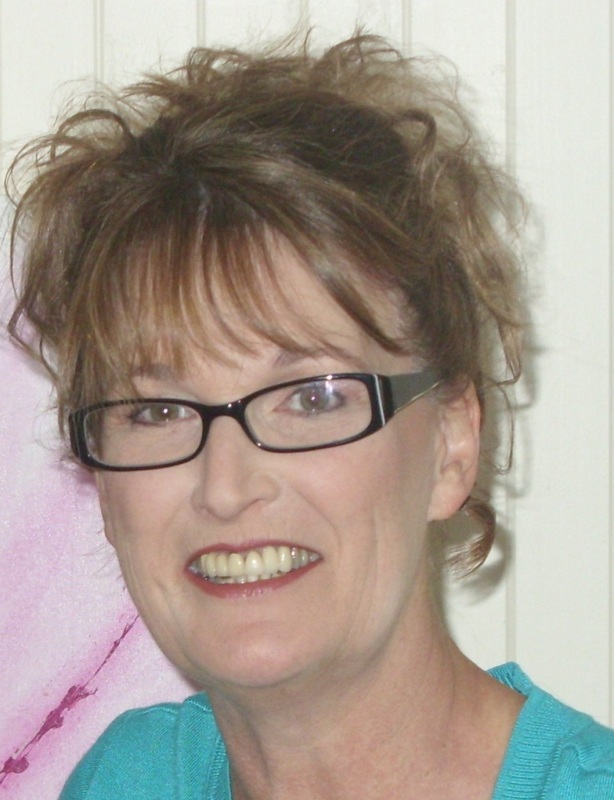 Karenlee Thompson is an author and an occasional reviewer for The Australian and was featured on Meet an Aussie Author in 2011. Her debut novel 8 States of Catastrophe is reviewed on the ANZ LitLovers blog here. Karen blogs at Karenlee Thompson. Cross-posted at Karenlee Thompson’s blog. oh dear, I thought this book wasn’t going to be my kind of thing and now i see it very much is my kind of thing. My poor ‘to read’ shelf. LOL Karenlee must take the blame for this one then, not me! Did you review it too? Yep, just put it up.